I really like this line of thinking and maybe central banks should look into changing their communication strategy along these lines. However, the issue is that, generally, market participants like (and react to) simple messages. I am afraid if central banks were to adopt such a policy, this would not be easy to communicate in a simple enough way for the markets. I’m confused by the policy instrument discussion. It seems to imply that the ECB is conducting policy in the same way as the FED, which from what I recall from my macro class a few years ago is not the case. 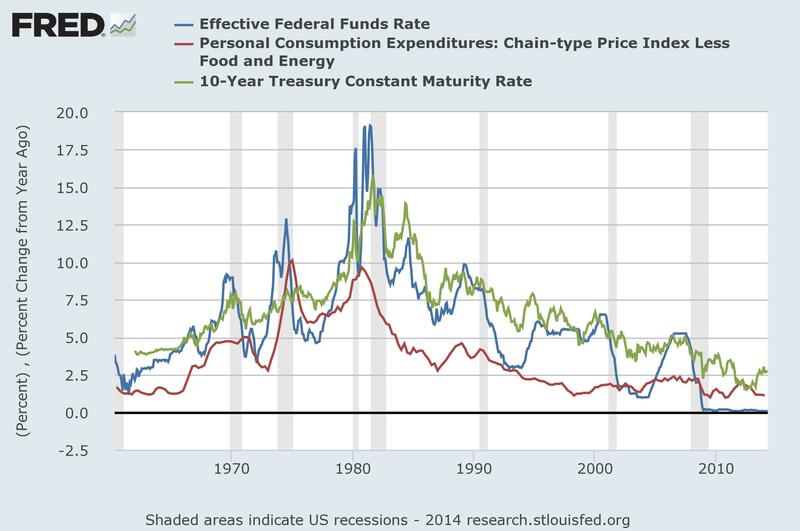 The FED targets a certain fed fund rate, and use the monetary base to get the rate to approach the chosen rate. They also set the discount lending rate above that rate, so that no institution uses discount lending (they can get money cheaper on the fed fund market). The ECB on the other hand sets a certain discount lending (refi in ECB terms) rate, and let the base be adjusted by the economic agents. Or am I missing something? I might have confused refi and marginal rate, or just be totally wrong.